In February 2016, the Society for the Protection of Nature in Israel published a flyer calling for retirees living in Migdal Haemek, Zichron Yaakov, Netanya, Herziliya, and Mevasseret Zion to make a green change in their municipalities by joining an environmental preservation program called “Veterans in the Area.” Pensioners interested in participating would be required to take a weekly class on the environment, nature, and sustainability before touring local nature sites and deciding upon their environmental project. Over the last year, enrollment has been high and the results have been impressive. 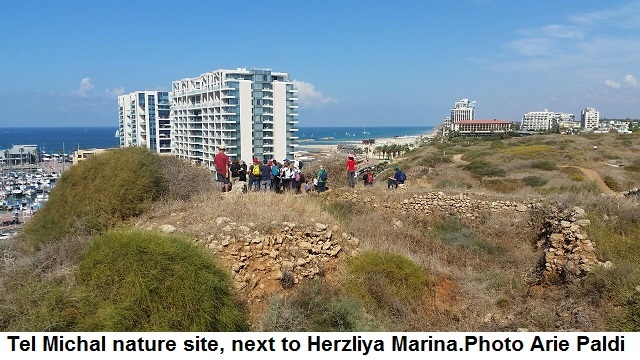 In Herziliya, for example, the retirees have tackled numerous urban development projects, including the cultivation of a food forest, the protection of an airfield that is slated for residential developments, and the preservation of Tel Michal, an urban nature site situated in southern Herzliya. Their goals for their preservation project include increasing awareness about Tel Michal and enhancing accessibility throughout the site. Accompanied by an SPNI coordinator and delegates from the Herziliya Municipality, they worked to accomplish these goals by clearing all trash from the site, constructing benches and signs from recycled materials like wood, and providing regularly scheduled tours. Thus far, their most successful event drew over 1,000 people who participated in workshops, joined guided tours, and learned about the area’s rich biodiversity and previously undiscovered winter pool (basin that fills up with water in the winter and drain during the summer, allowing animals to lay eggs without fear of fish eating them). Another notable outcome of this project is the development of a strong intergenerational bond between the seniors and a 7th grade class at one of the local schools. 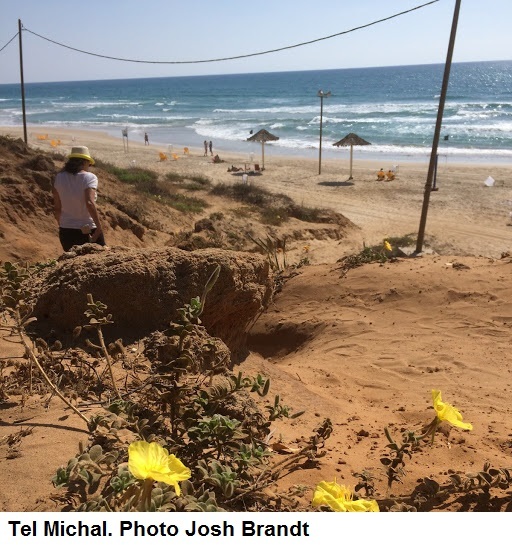 This past winter, the class hosted one of the volunteers for a discussion about Tel Michal and the importance of preserving nature and archeological sites. Since then, the class has toured Tel Michal several times. These veterans are making a real impact in their municipality and society at large by instilling future generations with a love and appreciation of nature and making Tel Michal more attractive and accessible to the residents of Herziliya. According to demographers, Herziliya’s population is predicted to double by 2030, and local developers are intent on building a residential neighborhood on an area that includes Tel Michal site in order to accommodate the population shift. However, it’s clear that this area must be preserved, as it provides proximal access to nature, has unique natural phenomena, and is a treasure trove of priceless artifacts. 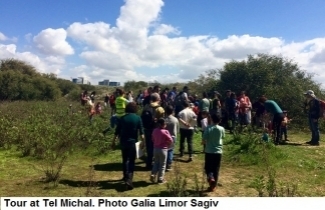 We call on the developers to implement sustainable planning methods and include the public in the process, so Tel Michal will stay available to the residents and preserve urban nature values for years to come. To make sure that you receive information about special events, programs, and the SPNI Monthly Newsletter directly to your inbox, sign up here.